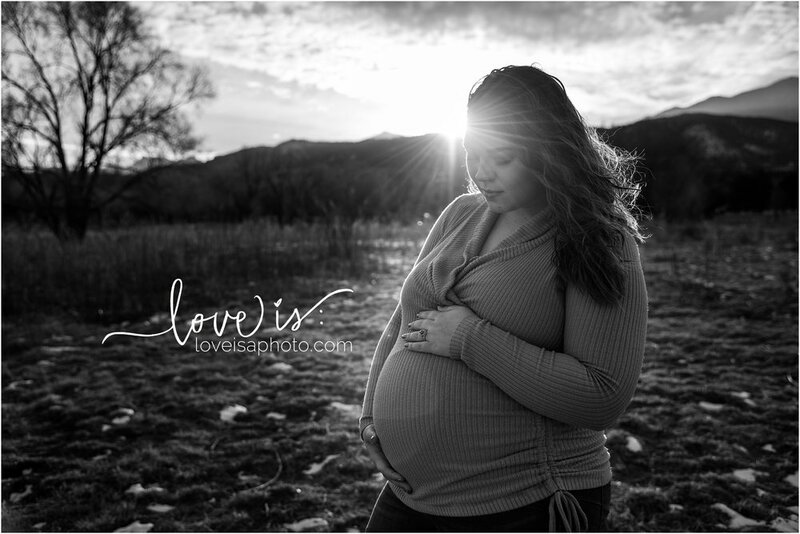 A beautiful chilly maternity session - Colorado Springs Maternity Photographer — Love is Photography LLC. Carliza and I hit it off just before she found out she was pregnant with her second little one. She came into my studio with her then 6 month old boy and we chatted for an hour or more like old friends. 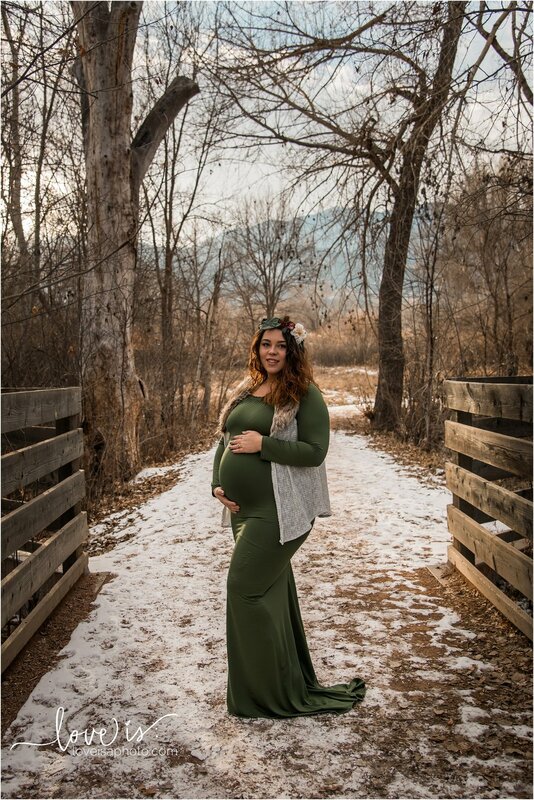 Her family is one of my very favorites already and I am just thrilled that she invited me to be apart of her next birth. We shot these images yesterday before the sun when down, but it was still cold enough to freeze ice cream outside. You would not be able to tell it on their faces though. Even her son Weston put on a super brave face, though I know he was so cold. I worked as quickly as I possibly could to create images that they would be proud to share, and that would make all the hard work worth it.